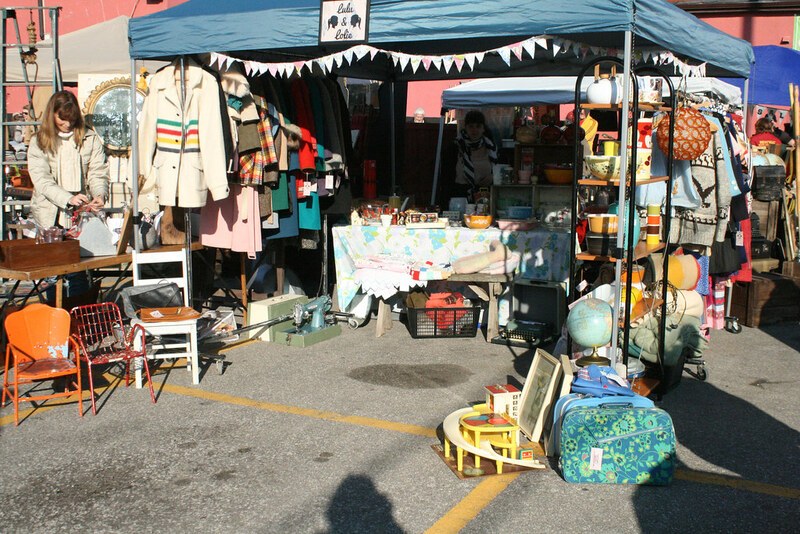 I was back at The Leslieville Flea this month with Lulu & Lolie, and was it ever a great day! We lucked out with some beautiful weather, and as usual got to spend some time with some great people. One of my favourite things about the Flea is talking to all the vendors and shoppers, and I always manage to run into a friend or two. Once set up, both Lucy & I take a turn exploring the other booths, searching all the treasures available this month. I am so grateful for such a wonderful partner in Lucy. There is no way I'd be able to do this alone with an eleven week old. She really goes out of her way to make it easier on me, and I hope I will be able to do the same for her. Our booth changes each month and I think this month was my favourite set up yet. 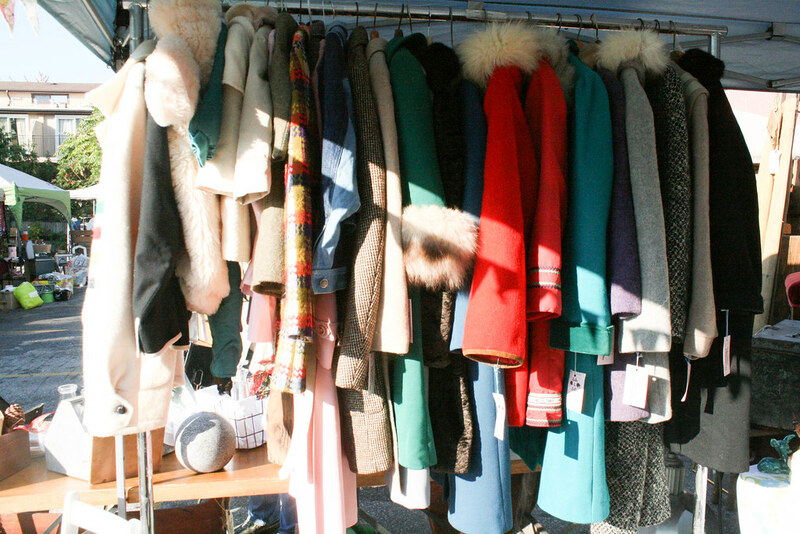 We had two clothing racks - one for coats and one for dresses/clothing - and lots of fun displays. We like to bring different stock each month so there is always something new for shoppers that come to each one. I love that we have some regular customers - it's nice to see people enjoying things we have carefully picked out. We also have a list of custom requests, and searching out those items for someone specific has become a new favourite pastime of mine. 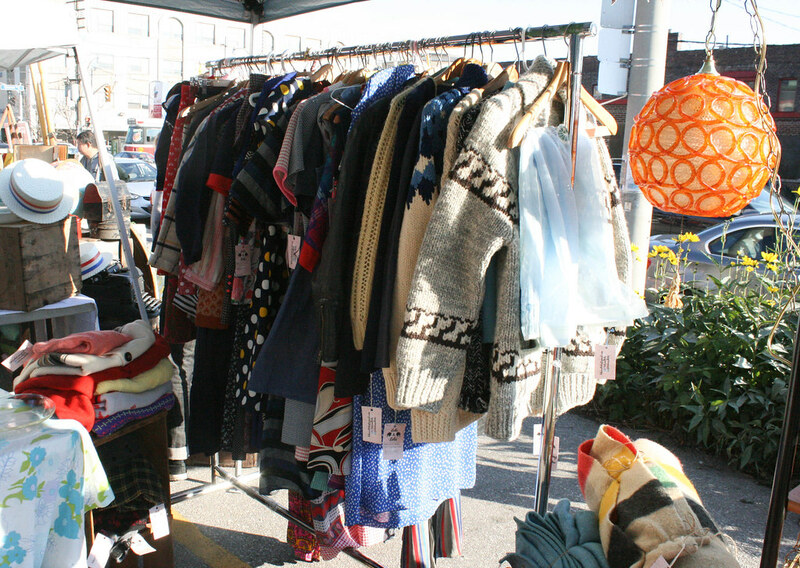 Our booth was filled with colourful kitchenware, cozy wool blankets, sweaters, and coats, fun housewares, and some great items for kids. 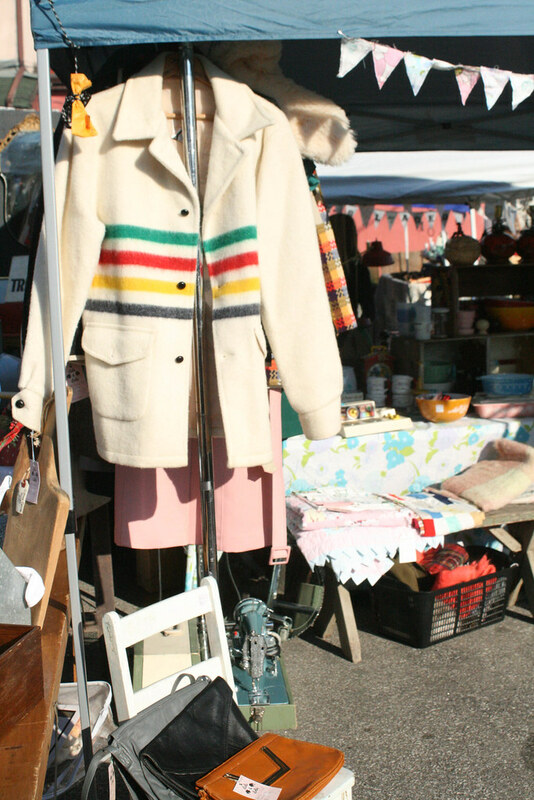 Some of my personal favourites were the Vintage authentic Cowichan wool sweater, a red Hudson's Bay coat that was just a little too small for me, and of course the Pyrex! 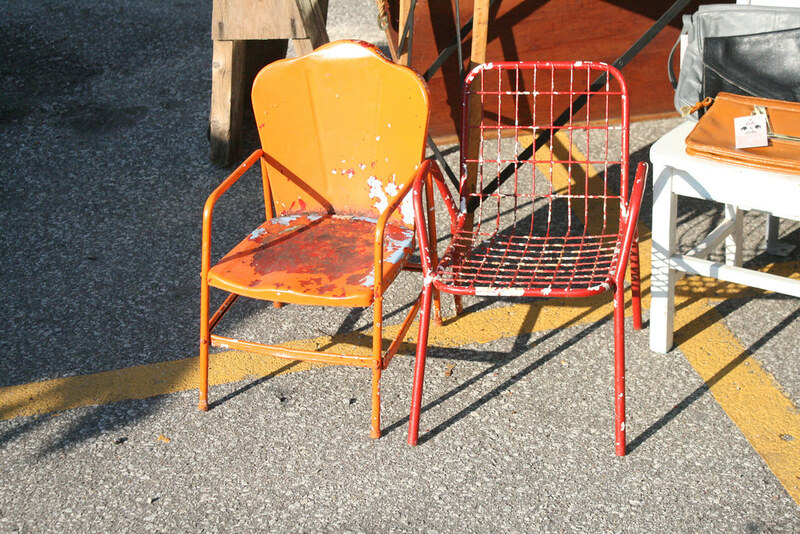 There were also some really cute child sized antique lawn chairs. 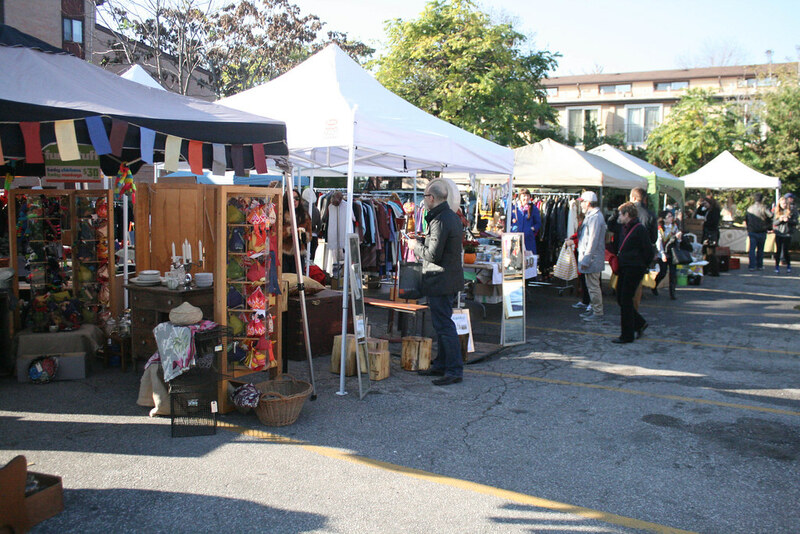 October was supposed to be the last month for the Flea until May, but it has been doing so well that the organizers decided to bring it inside for the winter months. It will be the third Sunday of the month as usual, but will be held inside the Jimmy Simpson Community Center. It will be interesting to see how it goes inside as opposed to out! 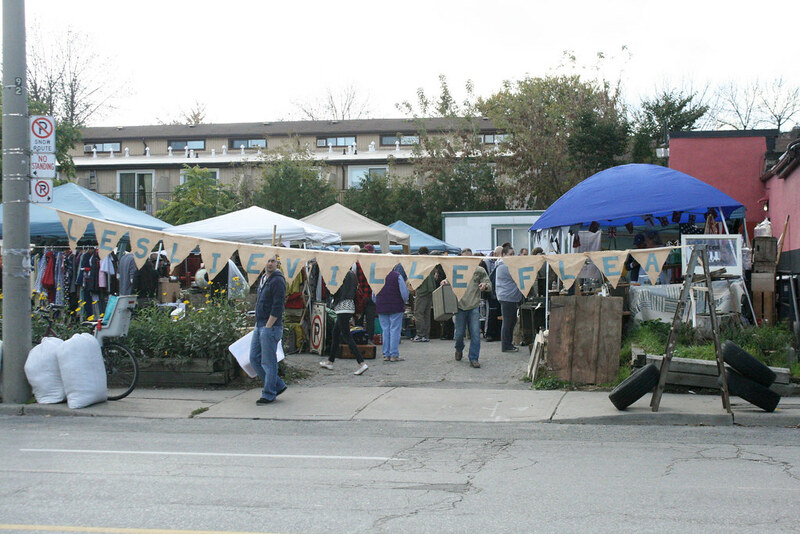 There were lots of great vendors this month. Many returning from previous Fleas, and some new, everyone with something different to offer. I love that. There is something for everyone. 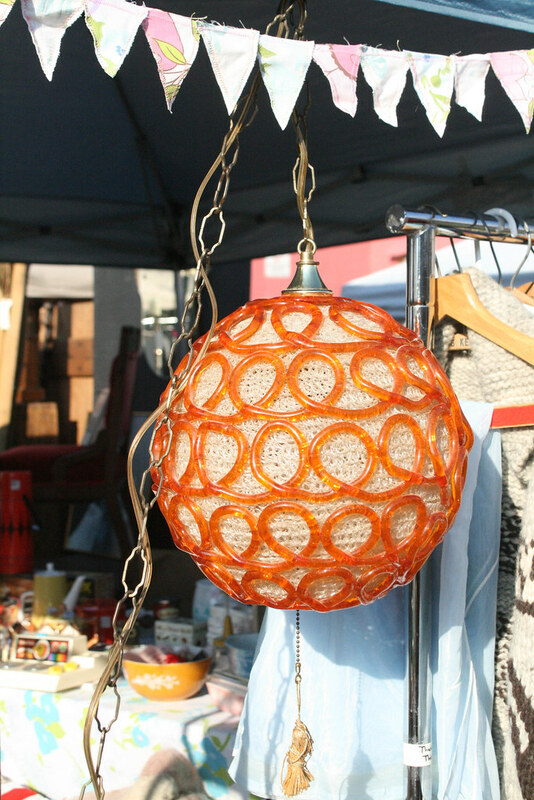 Lots of vintage and antiques, but also new and handmade from local artisans. One thing I will miss about the outside Fleas are all the dogs that tag along with their owners. I get to love on several furry babes throughout the day. This month we even had a neighbourhood cat drop by. Unfortunately that drop by included the cat eating some flowers and immediately puking them up in the middle of our pathway. At least the little guy was ok! I always worry about outdoor cats in the city. 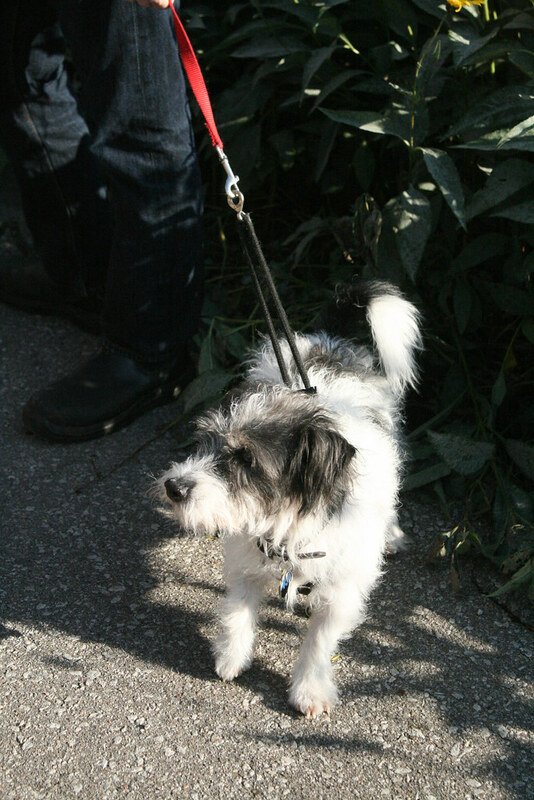 This little guy below is Lucy's dog Bertram, who is a frequent Flea visitor. 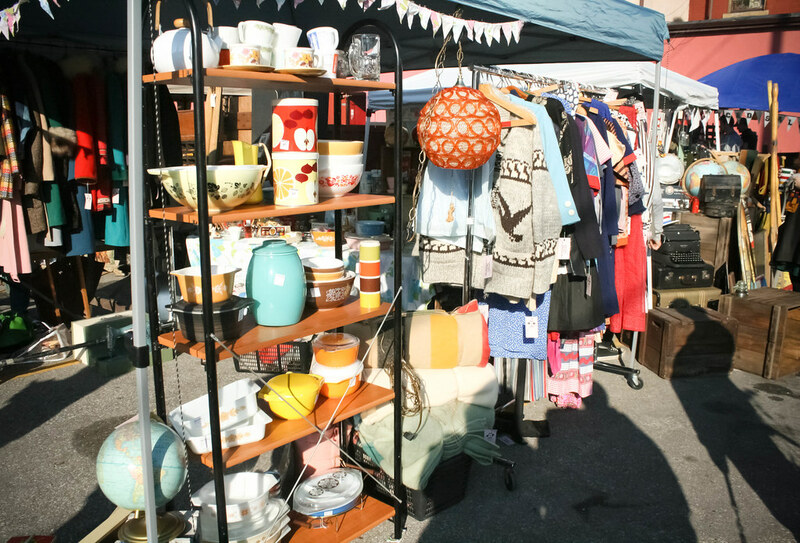 Today, I am resting up from yesterday and looking forward to next month's Flea. During Joshie's nap, I'm going through leftover stock and working on an exciting new project for Lulu & Lolie. I cannot wait to share! 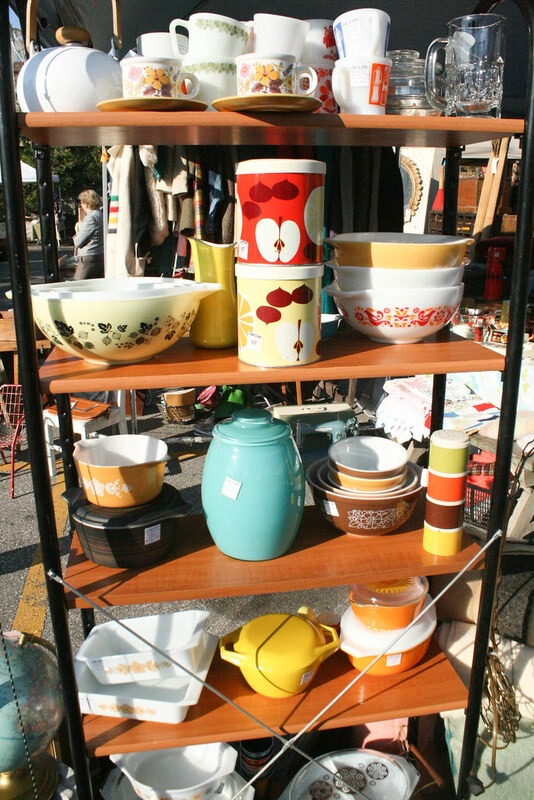 We hope to see you at the Flea next month!